Be proud of you who are & love who you want! We’ll be releasing ZESTY!, tart ale with blood orange & graprefruit & together we’ll be donating $2 of each Zesty! to Equality Maine. 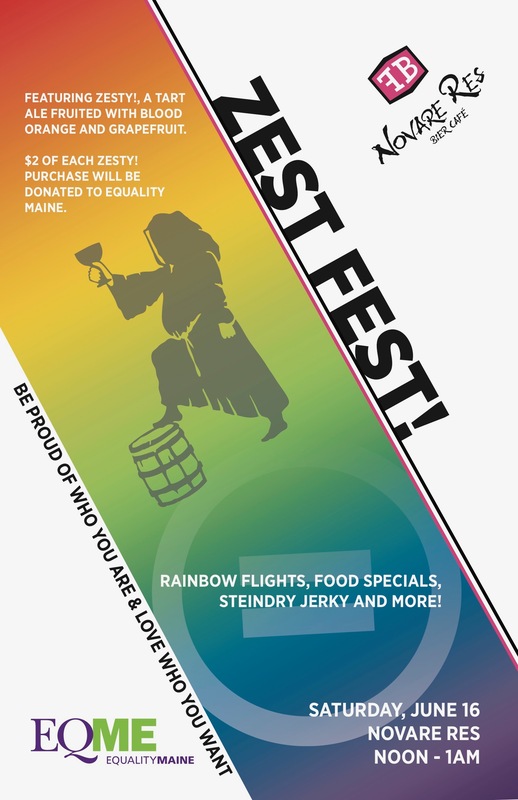 There will be rainbow flights, food specials, Steindry Jerky & much much more.